Machine Condition Monitoring is a technique used to detect the condition of a machine or its different components. It consists of condition monitoring apparatus, procedures, schedules as well as methods for data collection and analysis procedures. Machine condition monitoring decides the maintenance of the machine by monitoring its condition; thus increasing the efficiency of the assets and time for repair. Monitoring a system include non-invasive measurement, visual checkup, performance data and programmed investigation. It indicates the sign of decreasing performance or emergency shutdowns; thereby prevents complete system failure of the industry. It is a preventive maintenance method as it concludes equipment status before a breakdown occurs. 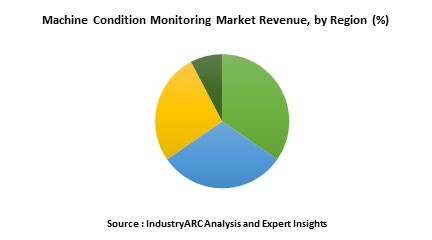 The report ‘Machine Condition Monitoring Market’ includes proficient insights along with an in-depth analysis of various technological and commercial factors. This report provides a vivid study of machine condition monitoring based on its types which includes vibration analysis, lubricant analysis and acoustic emission among others. This is subsequently followed by market segmentation based on components that comprises of ultrasound detector, vibration sensor, corrosion probes and others. The machine condition monitoring market has also been analyzed based on various end user industries which include Aerospace, Marine, Automotive and several others. The geographic regions comprises of Americas, Europe, Asia-Pacific (APAC) and Rest of the World (RoW) that are further categorized into prominent countries possessing a notable market for Machine Condition Monitoring. The machine condition monitoring market is projected to grow due to the shift from preventive maintenance to predictive maintenance in numerous industries for sufficient warning time and predicting failure of the system. The American market generated highest revenue for Machine Condition Monitoring in 2015, closely followed by Europe. Furthermore, the APAC market is projected to be the fastest growing region in the forecast period. Apart from the geographical segmentation of the market, the report also includes pricing and value chain analysis separately that will provide key insights and market scenario. Forecasts are provided for all the market segments for the period 2016-2021. 11.10. SKF Condition Monitoring Inc.